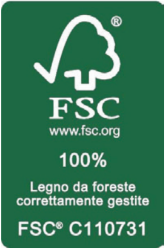 FSC® Certification: the responsible forest management brand. The FSC® Chain Of Custody (COC) certification guarantees the traceability of materials from certified forests. So Infissi Rossetti guarantees the customer about the origin of the wood used for their products and can demonstrate correctly, transparently and controlled manner their active contribution to responsible forest management. The seal “CasaClima Quality Window” represents a guarantee for the customer as it is issued by an agency, the CasaClima Agency, unrelated to the design, production and sale of the product. 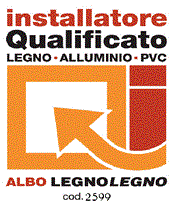 This certification guarantees both the energy quality of the window and its installation in a workmanlike manner. In fact, Infissi Rossetti has designed the qualified installation “IR” to guarantee the customer compliance with all the parameters imposed by the CasaClima Agency Certificatier.